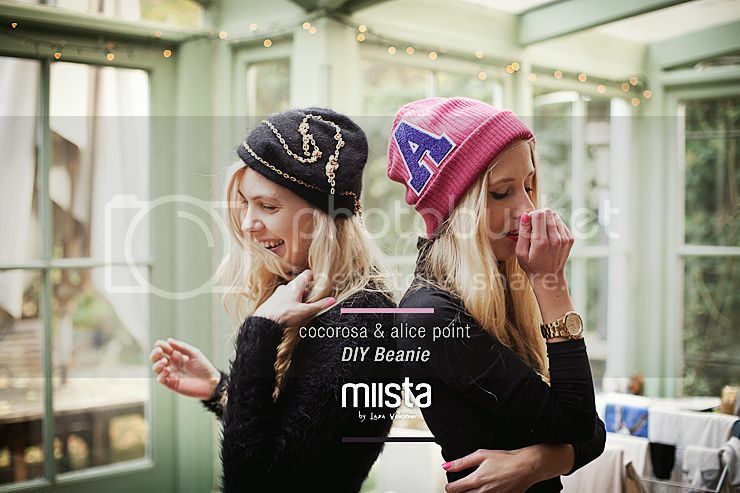 Me and Alice combined forces last week in London for a fun little project, we were asked by MIISTA to brew up a DIY for the MIISTA blog (one that wouldn’t take a million hours and bleeding fingers) and how could we say no? Especially since no bleeding fingers would be involved and we just love to Brew, although no brewing was involved either! We really wanted to pimp up our so necessary Winter Wear, Beanie obsession, anyone else? Do check out THE FULL TUTORIAL and video on MIISTA.com! and do check out my partner in crime Alice Point! ps. No COCOROSAS and ALICE POINTS where hurt during the making of this tutorial. All added swag should be handled properly. ALICE POINT went on to live happily ever after, marrying a whole varsity team. COCOROSA eventually got the carpet (this Carpet) to fly. What a great idea! Love the ones you guys made! 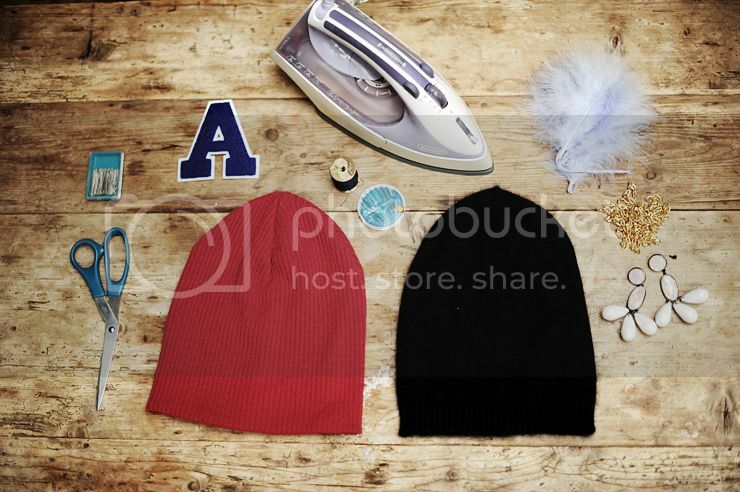 those beanies are soo cute!!! These are too cute, great idea! really cool result!!! I love it!! Love Alice’s beanie, timeless though very on trend! Yours is just like you are, very original and fun. aaaaahhh dit is leuk leuk leuk! you guys glammed it up really well! looks good! WHERE ARE YOU BUY THIS TURTLENECK? The “hairy” Wooley” Turtleneck is by Designer Brooke Roberts!